Kenneth Cummings, Jr., age 46, disappeared from at his residence in the 1200 block of Sussex in Pearland, Texas on Monday, June 4, 2007 and has not been seen or heard from since. Evidence inside his residence suggests that someone had been recently injured. It is unknown what was last seen wearing. Kenneth has a small scar on his upper lip and a small scar above left eye. 6/10/2007 4:00 p.m. Southwest Airlines employee, Kenneth Cummings, Jr. has been missing since Monday, June 4, 2007. TES is searching the area near his home now. Please pray for this family during this difficult time. 6/12/2007 Authorities have made an arrest and charged a man with murder in the case of missing Kenneth Cummings, Jr. Please keep this family in your prayers. TES will continue to search until we are able to bring Kenneth home. We will focus on two separate areas beginning this morning. One area will be the 290 and Jones Rd area while the second area will be Kirkwood and Bellaire. Command center locations will be announced once they are established. We wish to extend a very special thank you to the Pearland Police Department for their hard work and investigation that has led to this arrest. This is an exemplary group of people dedicated to helping others. And we could never do what we do without the outstanding dedication and support we receive from all our members, all the volunteers and each and every person from all communities that offers their help. Thank you. 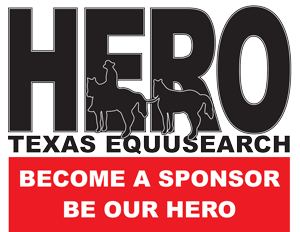 6/13/2007 With the temperatures soaring, Texas EquuSearch members and volunteers will not give up. Going into the fourth day of searching for Kenneth, TES is more determined now than ever. Although a tragic ending, our job is not complete until Kenneth is brought home to his family. Please continue to pray for the family, TES members, and each and every volunteer that has offered to help. A special thank you to the hundreds of Southwest Airlines employees that have come to help find their friend and co-worker. God Bless You all!! 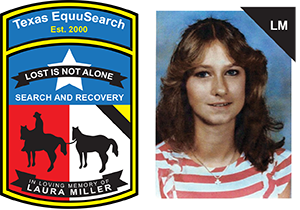 6/16/2007 – 4:03 p.m. in San Antonio – on a 50 acre ranch 14 miles from our command center – a Texas EquuSearch team member and volunteers have just found a shallow grave containing what is believed to be human remains and possibly the body of Southwest Airlines flight attendant Kenneth Cummings, Jr. from Pearland, Texas. While a positive ID has not been made, evidence suggests these are his remains. 6/20/2007 Funeral arrangements have been made for Kenneth Cummings, Jr.. Visitation is at the Christian Temple Church on Almeda Genoa on Friday, June 22, 2007 from 5pm to 8pm. The funeral will be held on Saturday, June 23, 2007 at 10am at the same location.